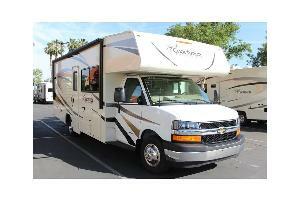 Welcome to the new Adventure KT RV and Camping Rentals. 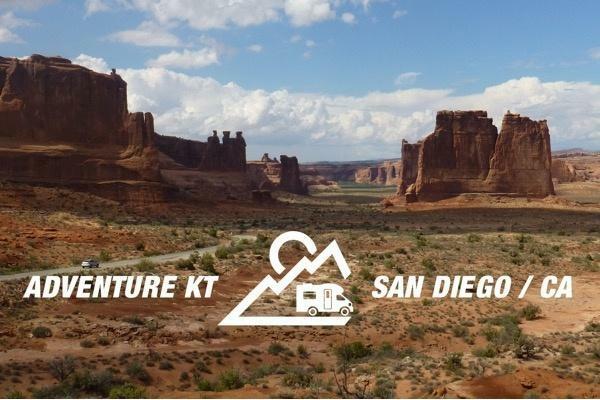 Adventure KT is proud to offer a high quality RV and trailer rental fleet, but more importantly, we offer you an experinece to make your vacation or event one to remember. You can count on us for your vacation dreams to come true with attentive and hassle free service. You will get an upfront and detail quote of the total cost of your trip with no hidden extras. We will explain and walk you through the process. We can provided trailers and motor homes for company parties, marathon running events, tail-gating, etc. We also provide trailers on-site to those who are building, remodeling or tenting their homes for termites or if your motor home is in the shop and you don't want to cancel your vacation. Our goal is to provide your not just with a motorhome or a trailer but a truly great vacation experience. Please contact us and give us the opportunity to serve your vacation needs today! 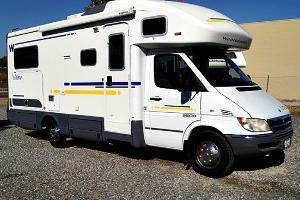 Highly sought after Roadtrek Luxury Turbo Diesel Motorhome built on a MBZ Sprinter 2500 chassis with their state of the art 3.0L Turbo BlueTec diesel engine. Brand new, High MPG, Luxury Turbo Diesel Motorhome built on a MBZ Sprinter chassis with their state of the art 3.0L Turbo diesel engine. New High MPG, Luxury Turbo Diesel Motorhome built on a MBZ Sprinter chassis with their state of the art 3.0L Turbo diesel engine. 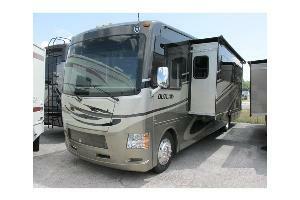 Full driver side slide out opening up to a walk around queen bed and full dinette. 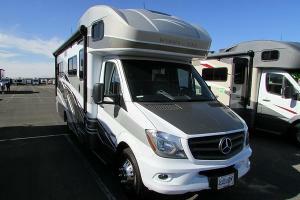 Model 2150 LE - Micro C Class Luxury Motorhome. New High MPG, Luxury Turbo Diesel Motorhome built on a MBZ Sprinter chassis with their state of the art 3.0L Turbo diesel engine. 2016 High MPG Luxury Turbo Diesel engine built by MBZ on a MBZ Sprinter chassis. Everything you need for a road trip for up to 4 adults with sleeping for up to 5. 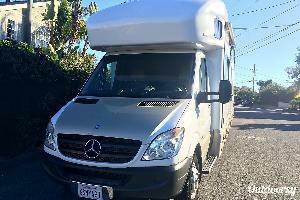 Mercedes Benz Sprinter based 24' Class C luxury motorhome! 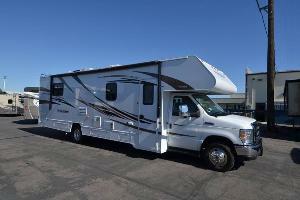 This Itasca Navion 24J boast an open floorpan with a large driver's side slide out and corner Queen Bed. Sleeping for up to 6 people. High MPG Turbo Diesel engine built by MBZ on a Sprinter chassis. 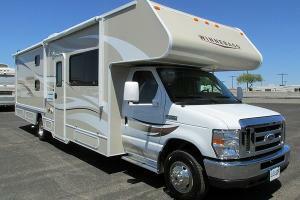 Everything you need for a road trip for up to 4 adults and 2 kids in a compact micro C Class RV. 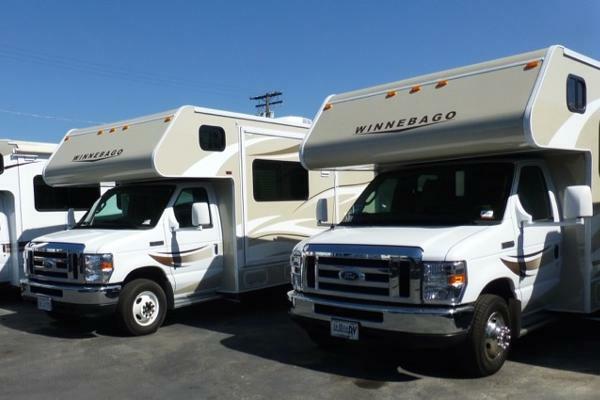 2015 Winnebago Minnie Winnie Model 31H. 31' Bunk House Class C. Seat belts for 8. Winnebago Minnie Winnie Model 31k. 32' Class C. Seat belts for 7. Huge Slide Out open up expanded kitchen and living room. Winnebago Itasca Spirit line Model 31k. 32' Class C. Seat belts for 7. Huge Slide Out open up expanded kitchen and living room. Fleetwood Tioga Ranger Model 31N. 31' Bunk House Class C. Seat belts for 7. 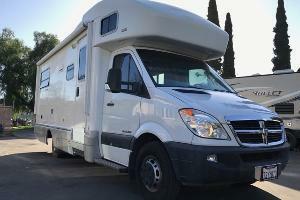 Newer and upgrades 2017 27ft motorhome with sleeping for up 6. Rear slide out creates full Queen Matter Bedroom comfort in a mid-sized RV. 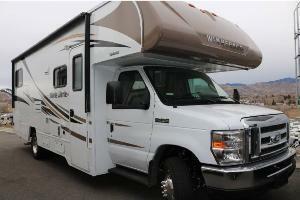 Virtually brand new 30 foot Class C Family Fun RV! 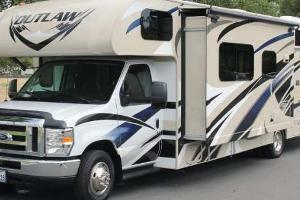 The Ultimate active family getaway RV with sleeping for up to 5 Adults. All the latest in comfort electronics with indoor and outdoor living spaces. 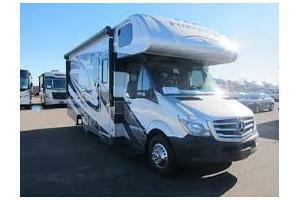 Band new 2017 28ft motorhome with sleeping for up 6 adults and kids. 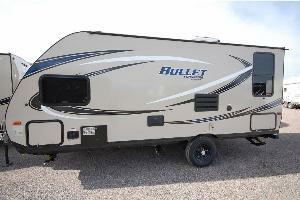 Rear bed slide out creates full bed comfort in a mid-sized RV. Passenger swivel seat adds to the comfort and roominess of the family dining area. 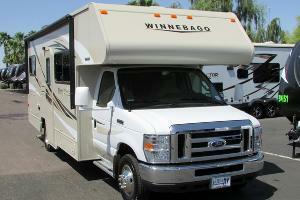 This is a newer 2015 Winnebago Minnie Winnie Model 25B. 26 foot Class C. Seat belts for 6. This versatile floorplan offers four sleeping spaces in a compact footprint. 4000watt Onan Generator, Ford V10 E450 Chassis. 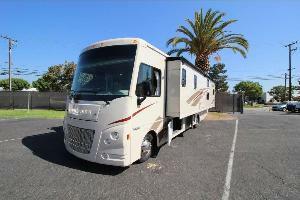 This is a newer model 2014 Fleetwood Tioga Montara Model 25K. 26' Class C with Living Room Slide Out. Seat belts for 5. 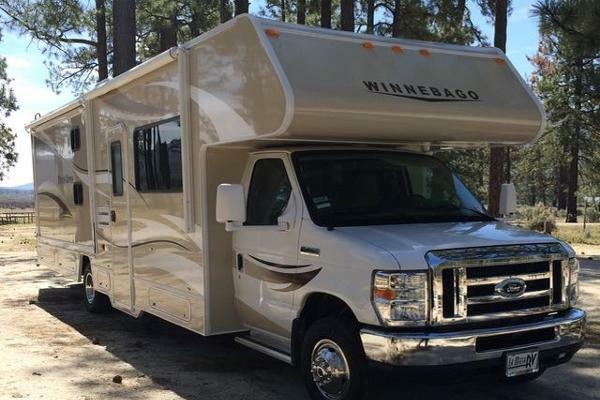 Virtually brand new Winnebago Vista Model 31BE. 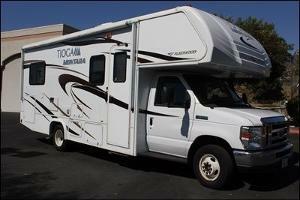 32' Class A Gas Motorhome. Seat belts for 7. 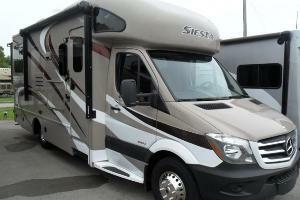 Full Drivers Side Slide out creates the Ultimate family road trip motorhome. Newer 2015 Class A Outlaw with rear garage and patio. Sleeps 8 Adults and 2 kids. Queen bedroom over garage. Garage has fold-down king bed or 2 sofa beds. 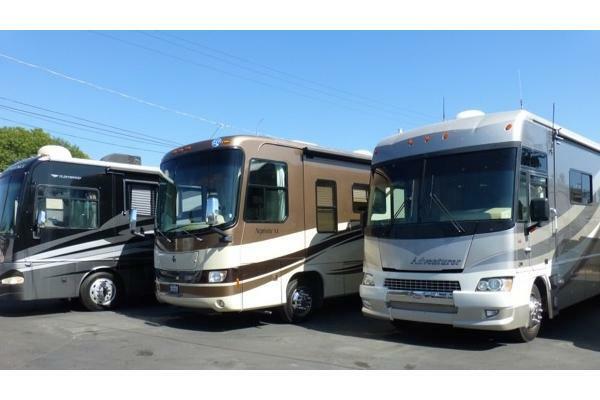 Luxury Class A motorhome featuring 1.5 baths, Multiple entertainment systems for Master bedroom, Living space and outdoors. Master bedroom suite with private full bath. This is a brand 2017 25 foot Wildwood x-lite 202. Great daytime floorplan which easily converts to 3 sleeping beds for night. Perfect towable family trailer. Lots of upgraded features. Super light weight late model 22ft Travel Trailer. Easy to tow at 3,400lbs! Perfect for traveling couple or a family up to 2 adults and 2 kids with all the features you are looking for in a compact towable size. Located in East San Diego county ..
1. Reservations and Rental Payment: Reservations need to be made at least 48 hours prior to the departure date. You will be charged a 20% reservation down payment ($500 minimum on motorhomes and $300 minimum on trailers) on your total estimated trip cost to reserve your vehicle or trailer. The down payment will be deducted from final payment before departure. Balance of estimated total rental cost is due in full before 7 days before departure. If your total rental cost is below the minimum downpayment, then payment in full will be taken at time of confirmed reservation. Rental costs and down payment can be paid by MasterCard, Visa, American Express and Discover, cash, cashiers check/money order, or personal check. If paying by check, the check must be received 3 weeks prior to departure date. 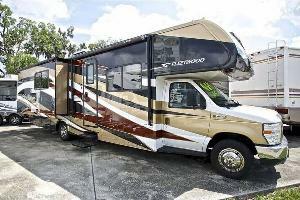 Security/Damage deposits are $500 for trailers and $1200 for Motorhomes. The security deposit can be paid by cash, cashiers check or credit card (credit card must be in renters name). I’m sorry but we cannot accept a check for any payment on the day of your departure. A 3.5% payment processing fee is added to the full amount. All personal checks must be received at least 3 weeks prior to departure date in order to be accepted. 2. Cancellation Policy: From the date of reservation and up to 30 days before departure, Adventure KT will refund the down payment amount less a $50 processing fee. If cancelled within 30 days of departure but more than 7 days from departure, 50% of down payment amounts will be refunded. If cancelled within 7 days of departure no refunds will be given. Please allow 14 days to process any refund. 3. Security/Damage Deposit: The Security/Damage Deposit must be in the form of credit card, cash or cashier check only and are due 7 days before departure. If by credit card, the card must be in the name of the renter on the contract. 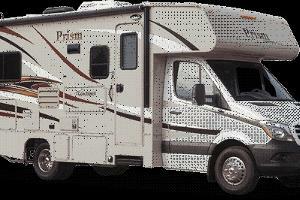 Security/Damage deposits are $500 for trailers and $1200 for Motorhomes but no less than insurance deductible plus $200. 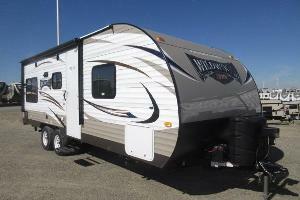 For trailer rentals only the Deposit will be an Authorization Only on the credit card. On all Motorhome rentals, the deposit will be charged to the credit card and refunded upon full reconciliation of the motorhome’s return. Renter is responsible for all damage done to the vehicle from the time of their departure until return and checked-in by authorized Adventure KT employee. Please allow up to 14 days for the deposit refund, less any additional charges, to appear back on your credit card. 4. Security/Damage Deposit Reconciliation: Every effort will be made to reconcile Security/Damage Deposit within 14 days after return of rental unit if the unit is returned clean, fuel tanks 3⁄4 or above, gray & black water tanks drained and NO DAMAGE. Refund will be in the form of Adventure KT check if paid in cash, cashiers check or personal check or refund on credit card if card is used. The following charges: extra mileage in excess of the estimate, cost of repairs for damages deemed to be of the customer’s responsibility, or any other fees or charges will be deducted from the security/damage deposit. Additional charges included: Generator hours, pet policy fees, no smoking fees, extra cleaning fees, waste tank not emptied or fuel tank levels not at departure level. 5. Rental Floor Plans: Adventure KT will do it’s best to accommodate you with the floor plan and vehicle that you have chosen. On rare occasions where the vehicle you have selected gets returned by previous renter in damaged condition and cannot be repaired in time to meet your departure date. Adventure KT reserves the right to change vehicles to similar or upgrade (no additional cost to renter). Should a smaller floor plan be the only choice (by renter’s choice or Adventure KT availability), liability will be limited to a refund of the price difference between the unit paid for and unit offered. 6. Contract Changes: If by renter’s sole choice - One vehicle or date change is allowed per rental contract at no charge if the change is done no less that 7 days before the departure. If the change is made within 7 days of departure date there is a $125.00 processing fee. Rental dates cannot be changed within 2 days of departure date. If within 2 days, the renter will need to cancel and rebook (cancellation policy may apply). Cancellation policy applies to all shorten trip days. Prevailing rental rates will apply to all rescheduled dates. Rescheduled rental dates must be within one year. If the renter cancels rescheduled dates, the renter will forfeit all rental payments and/or deposits. 7. Delivery / Pick Up: If you would like Adventure KT to deliver and pick-up your rental vehicle or trailer for you, please select a location when booking for a list of delivery prices. Prices vary based on location. Delivery site must be free of shrubs, debris, and the delivery site must be wide enough to allow maneuverability for the driver and slide outs of the vehicle. If you are unsure if the location is suitable for the vehicle being delivered, we can provide a pre-inspection at an additional cost. Delivery and Pick up fees include set up and tear down of available on site hook ups. 8. Prep, Cleaning & Starter Package Fee. All vehicles have a mandatory Prep, Cleaning & Starter fee. This fee includes vehicle prep and your walk through, basic cleaning upon return, and a starter pack of RV Toilet Paper & Septics Chemicals. Also included is propane use. Tanks will be at 1⁄2 or greater upon departure for your use. 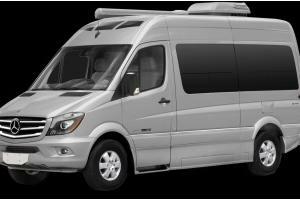 Fees are as follows and charged per vehicle reserved and added to your contract quote: RVs: Premium (35ft+) : $175-195. Standard (up to 34ft): $125-145 All Trailers : $95.00 Please note: Our rentals do not include bedding, linens, towels, kitchen supplies, tools or maps. See accessory rental rates for additional items. drained before returning to Adventure KT unless previously arranged. The dump fee is $95.00 if the RV is returned full and not paid for in advance. Prepayment of dump fee is $55.00. 10. RV Rental Pick Up & Return: Vehicle check out times are between 1pm - 4pm Monday – Friday and between 9am and 1 pm on Saturdays, based on vehicle readiness. We operated more like a hotel, not a car rental agency. We will contact you 48 hours prior to departure to confirm your reservation pick time. We do not offer early pick ups during our peak season (June 15th- September 15th). Return time is between 9am - 11am (Monday – Saturday) unless otherwise arranged in advance. If you would like to pick up you RV early or drop it off after the designated times you are subject to an additional $50 charge. There are No pick up’s or returns on Sunday’s or on major holidays, as Adventure KT offices will be closed and the yard locked. Sunday pick ups and drop off may be arranged fro an $85 fee if personnel are available. There are absolutely no refunds for early returns. The vehicle remains the responsibility of the renter until an authorized Adventure KT representative has checked the vehicle in. The vehicle must be returned clean inside and the fuel level must be at or above the 3⁄4 mark. If the RV is not returned clean and/or at fuel level below departure level, a $50 per hour cleaning fee will be charged and the fuel will be refilled at a price of $5.25 per gallon of gas or $4.25 per gallon for diesel models. We bill fuel at 1⁄4 tank increments. The Renter must pick up & drop off the rental vehicle him or herself. 11. Towing or using the hitch: If renter plans on towing anything or using any hitch mounted rack with the motorhome, the renter must contact the Rental department prior to picking up the RV to make arrangements and have the hitch lock removed. Renter must bring their hitch-mounted rack with them or hitch lock will not be removed. When towing, all tow vehicles and total gross tow weight must be approved by Adventure KT and subject to $49 fee to rental contract and additional $0.10/mile on total trip. Please call for details. 12. Travel Areas: No travel to Mexico unless pre-approved on certain vehicles and separate insurance is obtained and approved by Adventure KT. Travel is not recommended in the summer months (July & August) in the desert areas (i.e. Death Valley) due to overheating, which may cause tire damage, engine failure and other problems. If a problem occurs, you will be responsible to pay for any damage caused. If you are traveling to an elevation of 5,000 feet or more you may encounter troubles with the operation of the generator or propane refrigerator systems. If this occurs, we suggest you hook up to 110 volts to operate the 110 volt appliances. If the generator malfunctions due to elevation, please do not use or try to adjust the generator. No compensation will be made for generator/refrigerator malfunctions if traveling above 5,000 ft. During the winter months we do not recommend that you travel to or through snow areas, ￼use snow chains, or travel where the weather is below freezing. Tire chains can damage tires if not properly installed and the holding tanks may freeze and burst. The renter will be responsible to pay for any damages incurred. Traveling to Burning Man is available on certain vehicles and must be fully disclosed at time of reservation and subject to mandatory additional cleaning fees and change of nightly rate plan. Any person’s not disclosing Burning Man travel destination will be held liable for all normal Burning Man rates, cleaning fees , and subject to additional non-disclosure fee of $2000. All vehicles being rented out for travel during Aug 25th-Sept15th will need to sign Burning Man disclosure affidavit before departure. Please call to see affidavit in advance or upon request. 13. On Road/Travel/RV Concerns - REIMBURSEMENT POLICY: The staff and management of Adventure KT have done many things to assure you a trouble free vacation. In the unlikely event that you may experience mechanical difficulties with the vehicle, we have designed our Vacation Saver Reimbursement Policy to help you back on the road as quickly as possible and reimburse you for covered items. Fully covered items include all components necessary for vehicle engine operation, the drive train, and brakes. Partially covered items include: Automotive air conditioning, Forced air furnace, Microwave oven, (if supplied), Generator, Refrigerator, House water pump, Aux batteries (defects only), 110v A/C, water heater, toilet, and shower. Should any of the items listed as partially covered fail to operate; an allowance of $10 per day/per item up to maximum of $70 per item will be reimbursed to the renter. The allowance is limited to $300 per vehicle. All other items are not covered. These include automotive cruise control, interior lights, TVs, DVDs, any audio systems, electric bed or sofas and exterior showers. Renter is responsible for checking the engine oil, fluids, and coolant levels at each refueling. Renter may be held responsible for mechanical damage due to negligence in vehicle operation or failure to provide normal on road maintenance. Renter is responsible to change the engine oil and filters for every 3,000 miles that they travel. Renter must provide Adventure KT with the oil change receipts upon their return if they traveled 3,000 miles are more, if renter did not have the engine oil changed, the renter will be charged accordingly to have the oil change done on the vehicle. 14. Mileage: 100 MILES are included for every night booked and paid for at full price. For example a 7 night rental would include 700 miles at no additional costs. Additional miles are charged as follows for all rentals 5 nights or more: the first 250 miles over included mileage are charged at $0.35/mile, next 250 are charged at $0.55/mile. Any miles over 500 over included mileage are charged at $0.99-$1.49/mile depending on vehicle. For all rentals 4 nights or less: the first 125 miles over included mileage are charged at $0.35/mile, next 125 are charged at $0.55/mile. Any miles over 250 over included mileage are charged at $0.99-$1.49/mile depending on vehicle. If towing, an additional $0.10/mile for total miles driven will be added. Please consult with Adventure KT about requesting to tow and additional mileage fees. 15. Generator: 3 hrs included for every night booked and paid for at full price. $3.50 per hour thereafter. 16. Smoking Policy: There is a No Smoking policy in all of the vehicles. If your rental is returned with any kind of smoke odor ,including camp fire smoke, an automatic $500 cleaning fee (at minimum) will be taken from Security/damage deposit. 17. Tires and Windshield: On road tire failure is the renter's responsibility. The tire must be replaced with the same type/grade of tire. For your own safety DO NOT attempt to change a tire yourself! If windshield is damaged, the renter needs to have it properly evaluated , if ok to drive they can proceed. If not they will need to have it replaced. Renter is responsible for all windshield damage while the RV is in their possession. Adventure KT does not reimburse for tire replacement or repair or windshield replacement. 18. Parking/Traffic/Toll Violations: Renter is responsible for reporting and payment of all parking/traffic/ toll violations at rental return. Please notify us of all violations. All non-payment of parking/traffic/toll violations will be deducted from Security/damage deposit. If Security/damage deposit has been refunded, you are authorizing Adventure KT to charge the credit card on file for such violation and a $50/violation additional processing fee. 19. Pet Policy: Pets are allowed in most our rentals. There is a $10 pet fee per pet/day. If your rental is returned with damage, stains or excessive hair due to pets, or pet odor additional charges may apply. We charge $95 cleaning fees with a one hour minimum per occurrence. Any excess fees will be deducted from security/damage deposit. 20. Insurance for Motor homes and trailers: AdventureKT Inc does not insure your rental vehicle as soon as you start to drive the vehicle or tow your trailer off of our lot. You, the renter, are responsible and must obtain an insurance binder from your insurance company. If there are multiple drivers - each driver must also obtain an insurance binder from their insurance company and all drivers must be listed on the rental contract. 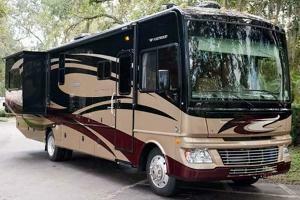 If your personal auto insurance company does not cover you to rent an RV, you will be required to purchase full coverage directly through MBAchoice.com at a daily rate of $21-50/day depending on vehicle and liability coverage requested. The MBA policy covers the vehicle and all driver's listed on the rental agreement less a $1500 deductible which you will be responsible for if a claim is made or any damage under the deductible amount. For towables, your auto insurance policy should extend to the rented tow unit. We will require proof of insurance on our supplied form if you are towing. We will send you all applicable insurance binder requests and auto insurance verification forms 2 weeks prior to departure. If you purchase daily insurance through MBA, you can do so no more than 7 days prior to departure. No refunds will be given if the renter’s insurance company does not provide binder or coverage and renter wishes to cancel. If you have any questions on insurance, give us a ring as soon as possible and we will be happy to help you sort through this important and necessary part of renting. 21. Other important Information: The person named on the Reservation Application and the Final Contract must have a valid major credit card and is the only person authorized to sign the rental agreement and drive or tow the vehicle off or on our lot unless additional drivers have been approved and are listed on the rental contract. No refunds will be given for early return. We will refund unused mileage projected in the estimate rental costs at time of deposit reconciliation and refund. No candles incense or open flames allowed in vehicles.